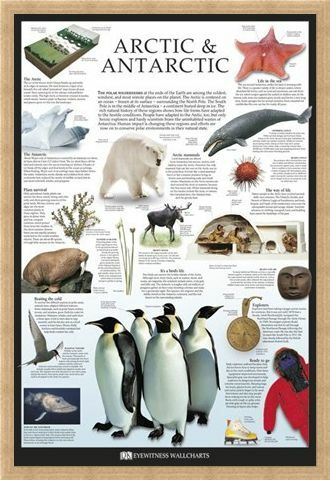 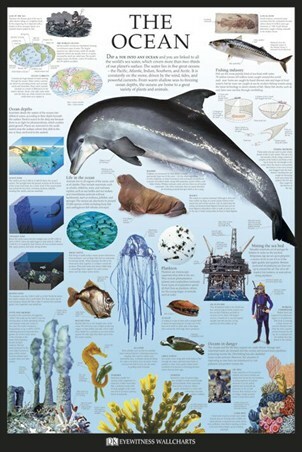 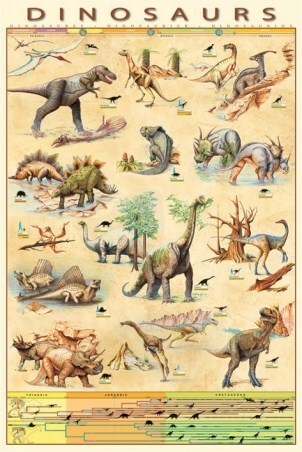 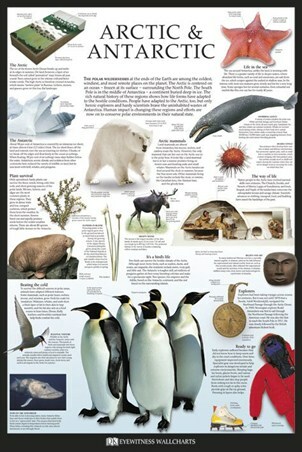 Animal Maxi Poster: Discover the chilled out animals that live in the Arctic and Antarctic with this brilliant Dorling Kindersley maxi poster. Get your ice picks at the ready as you set off on a chilly adventure which will explore the magnificent icebergs, igloos and the many creatures which live in these poles. From the waddling penguin to the furry polar bear and even walruses, this poster takes a look at the lifestyles of these weather hardy creatures. Learn about cultures of the intuits and some of the seasonal visitors to these ice covered lands as you take a trip to the most northerly and southerly points of planet earth. High quality, framed The Arctic & Antarctic, Dorling Kindersley poster with a bespoke frame by our custom framing service.